Sikkim, the complete organic state in India is ready to invite the tourists to its newly built airport in Pakyong, the only Sikkim airport. Pakyong is just 30kms south of Gangtok, the capital of Sikkim. This greenfield airport construction started in February 2009 and is nearing completion. 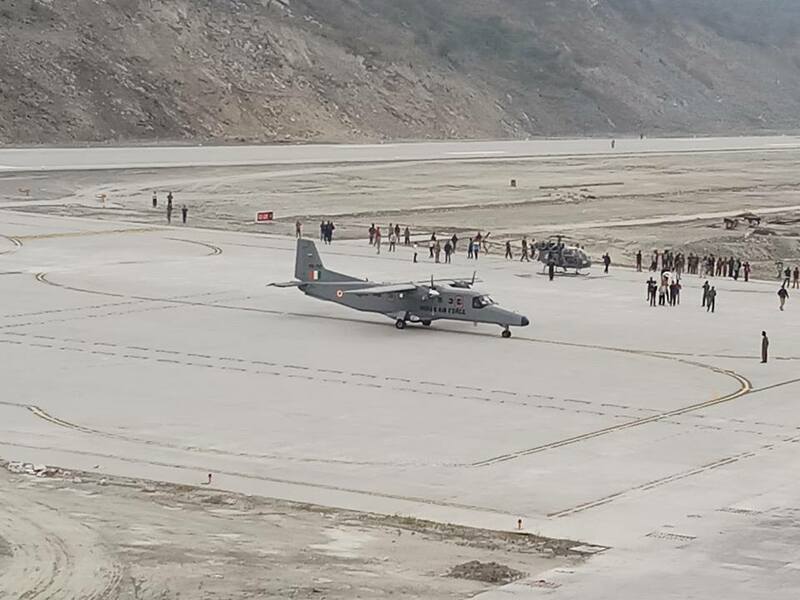 On 05 March 2018, around 3.30PM (IST) the IAF 19 seater aircraft Dornier 288 made a maiden landing at Pakyong airport. The airport which was initially planned to be completed by 2012, delayed due to the protest by the local villages for their compensation for their lands. It was further delayed due to the landslides and other reasons. This airport is being built by the Airports Authority of India at an estimated cost of 605 crore INR. It has a runway of 1,700 m × 30 m (5,577 ft × 98 ft) and a 116 m (381 ft) long taxiway connecting it to an apron measuring 106 by 76 meters (348 ft × 249 ft) that can accommodate two ATR 72 aircraft at a time. 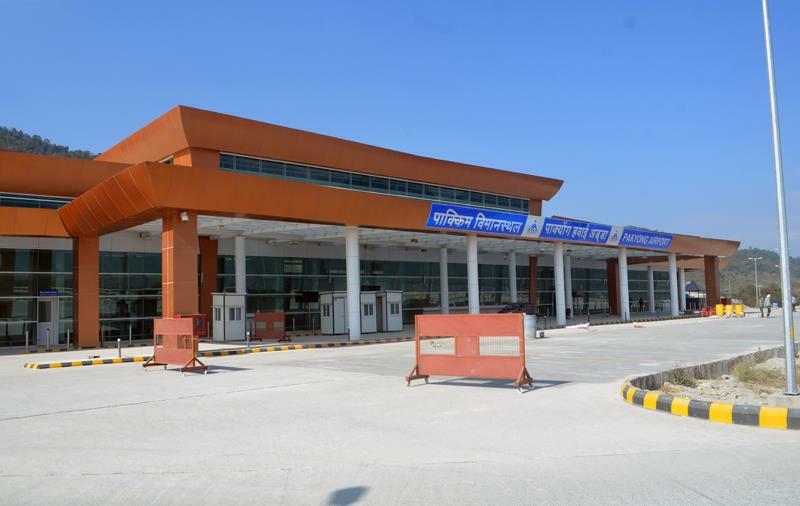 This Sikkim airport is awaiting the approval from the DGCA for commercial operations. 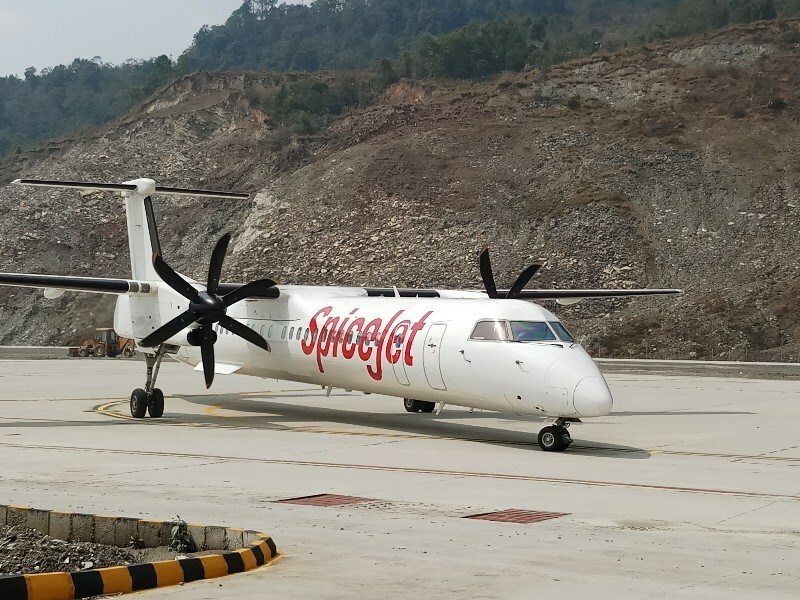 Spicejet, the low-cost airline is expected to operate its ATR aircraft under UDAN scheme from Pakyong airport sooner once the DGCA approval is given for commercial operations. Delhi – Pakyong, and Kolkata – Pakyong are the planned routes for the flight operations. Spicejet Bombardier Q400 aircraft becomes the first commercial aircraft to land at Pakyong airport on 10 March 2018. on a trial basis, the 78 seater aircraft which departed from Kolkata at 10:40 am made a successful landing at Pakyong airport at 11.55 am on 10 March 2018. Scheduled operations will commence as soon as the DGCA give approval for commercial operations. Currently, the nearest airport to Sikkim is Bagdogra airport which is 130 km far from Gangtok. Once the commercial flight operations start, tourists footfalls are expected to increase as the traveling time by road will get reduced. This will certainly help the landlocked state to boost tourism which is mostly dependent on it. 13,75,854 domestic tourists and 49,111 foreign tourists have visited the state in the year 2017 as mentioned by the Tourism Department, Govt of Sikkim. So, when are you going to beautiful Sikkim?